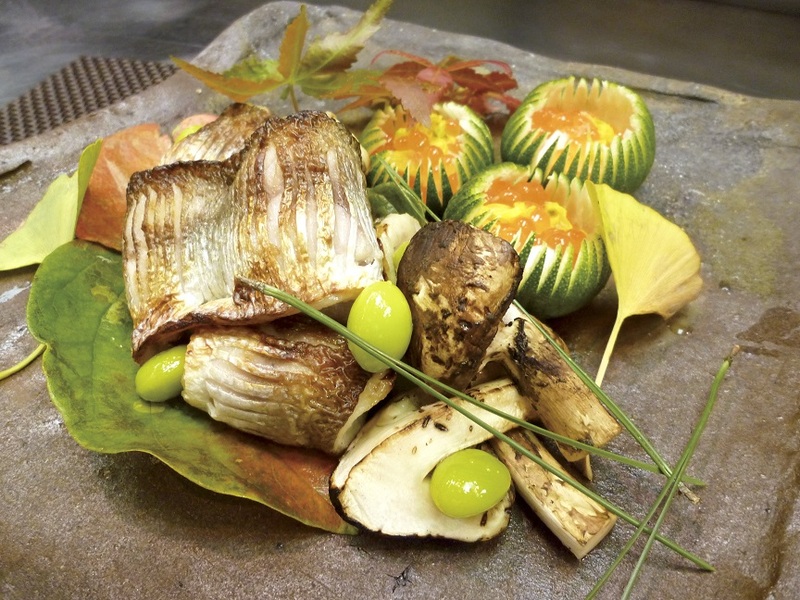 “Washoku, traditional dietary cultures of the Japanese” was placed on the UNESCO representative list of intangible cultural heritage of humanity in December 2013. One of the distinguishing characteristics of washoku is the value put on the harmony between serving techniques and dishware, which is also referred to as “food to be seen.” Techniques called kazarigiri (“decorative cutting”) play an important role in the serving of washoku. 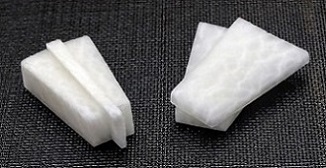 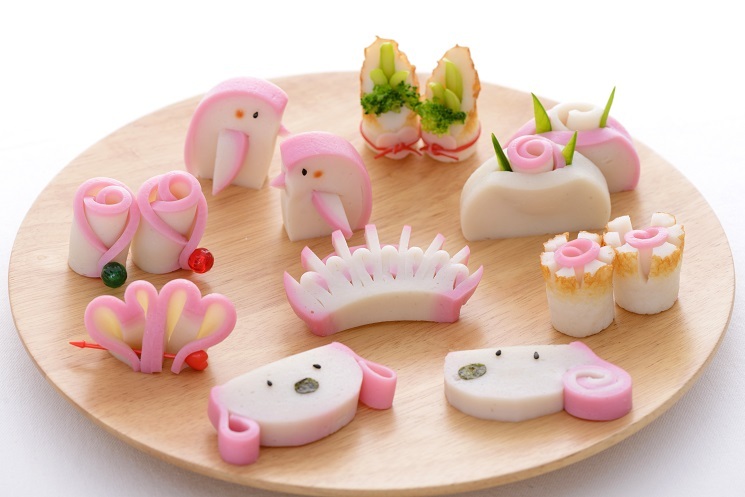 Kazarigiri can be applied to kamaboko, steamed seasoned fish paste, in various ways depending on one’s creativity (Kibun Foods Inc.)"
Food is supposed to be enjoyed not just with the tongue, but with all five senses. 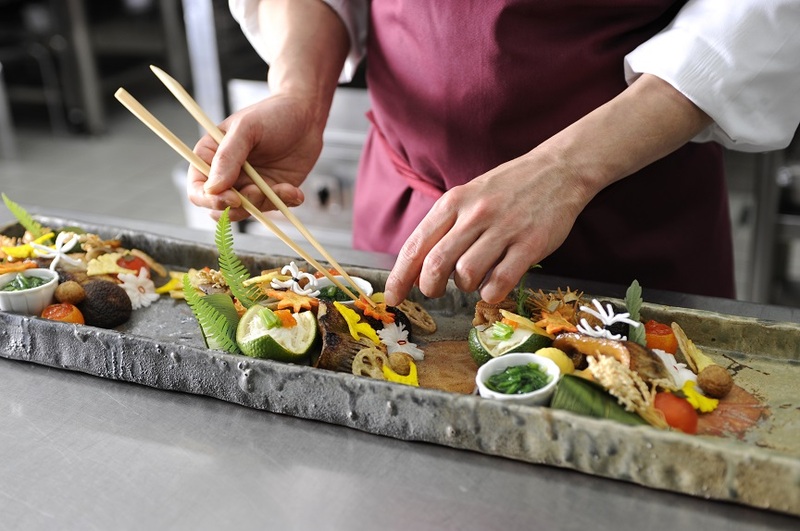 When tasting food, one cannot talk about it without taking into account scent and appearance. 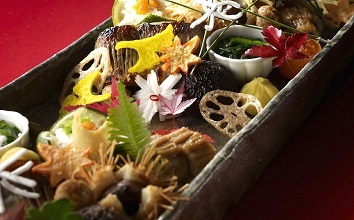 In particular, washoku expresses the feel of each season within serving bowls and uses the cutting and coloring of food to create appealing scenes on plates. 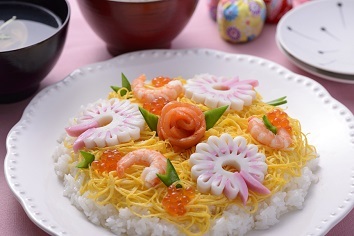 There are many different ways of varying food decorations, such as for example adding faintly colored vegetables made to look like cherry blossom petals in spring or colorful leaves in autumn. Such additions are called ashirai, accompaniments, and can be considered a creative technique not often seen in cuisines of other countries. 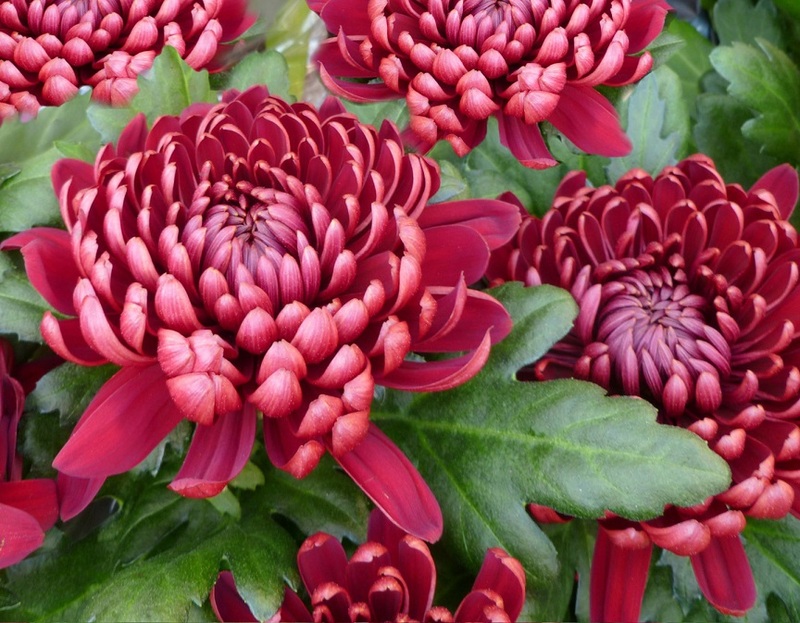 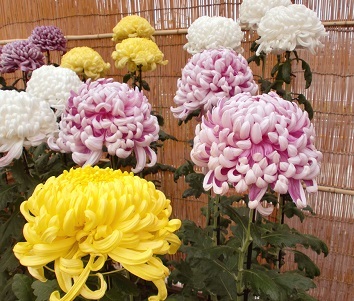 Even flowers and plants not suited for consumption are often used for purely visual purposes. 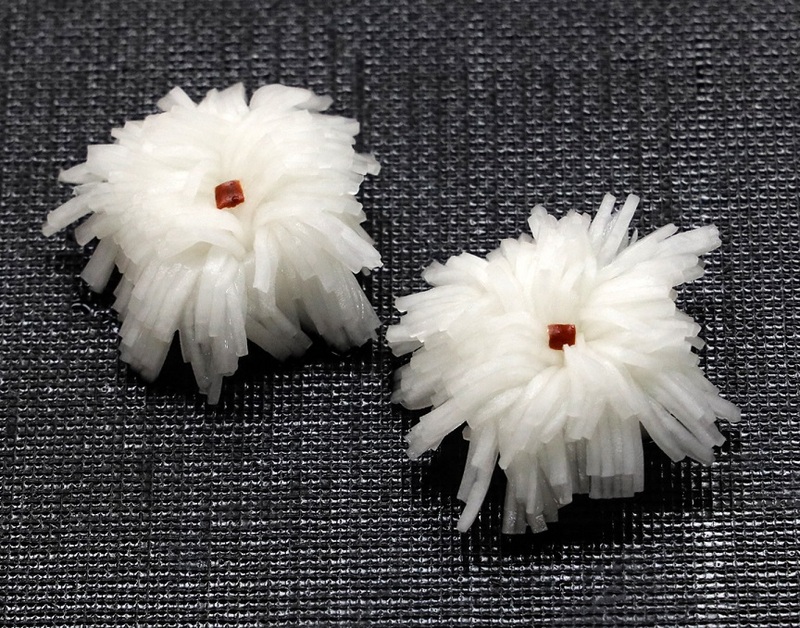 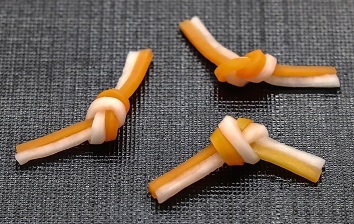 The techniques necessary for such adornments, which embellish foodstuffs like vegetables or decorative leaves, are called kazarigiri. 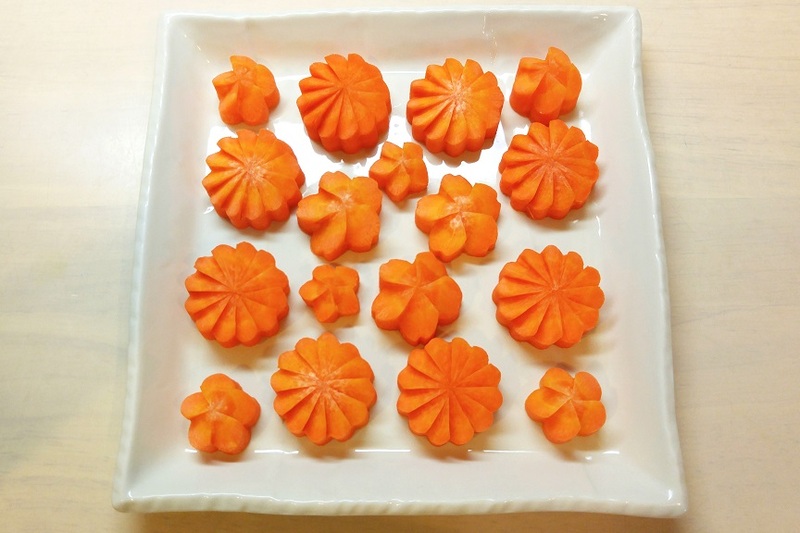 To give an example: pumpkin can be turned into a lively leaf, carrots can express plum or cherry blossoms blooming in spring, and lotus root can express winter by representing snow crystals – all ways of bringing a seasonal touch to the dinner table with kazarigiri. Beautiful birds like peacocks are also used as motifs. 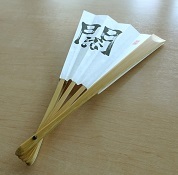 Japanese culture often expresses wishes or playfulness in objects, and the same can be said about food. 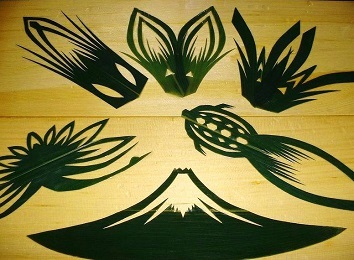 It for example uses vegetables or leaves to represent symbols of longevity like turtles or pine needles, cranes, open fans (spreading to the end, implying more and more prosperous future), or lucky colors like red and white. 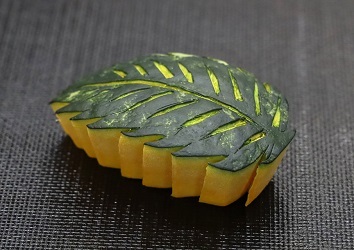 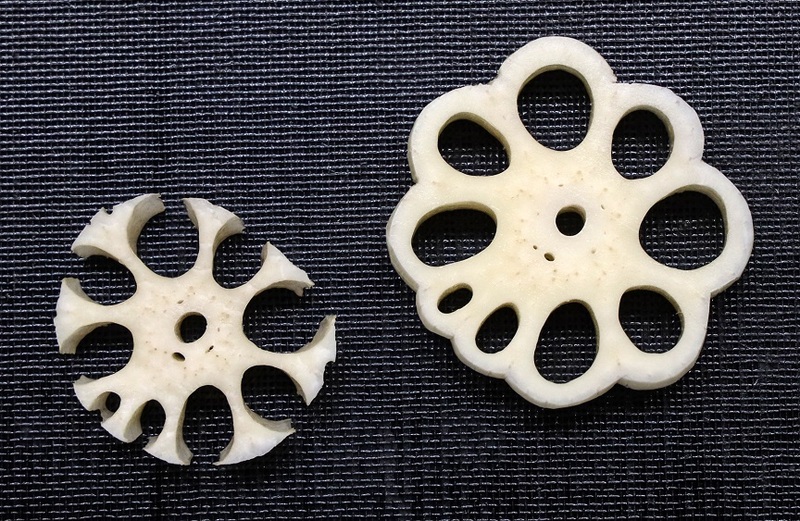 Adornments carved into leaves called haran (firm shiny leaves most commonly used for food decorations) with a knife to resemble turtles, cranes, or Mt. 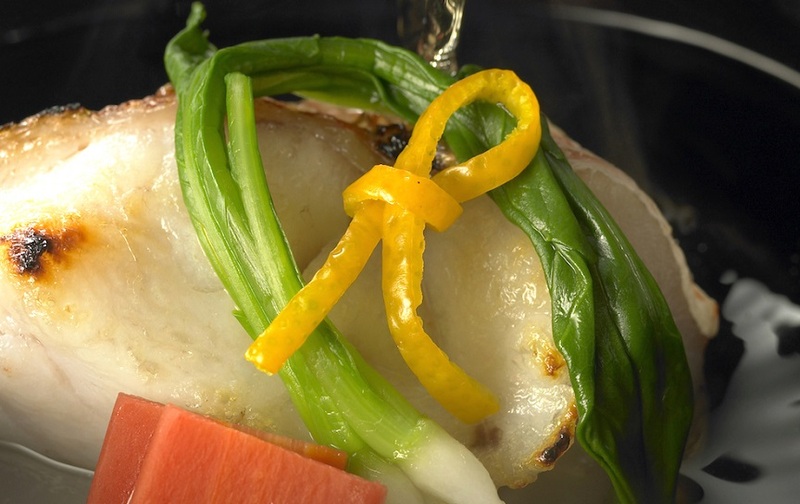 Fuji are inedible, but when executed well are especially indicative of the cook’s skill. Such arrangements by kazarigiri are most often used for festive meals such as at weddings or for osechi, food celebrating the beginning of the New Year, and provide each individual dish with an auspicious ornament. 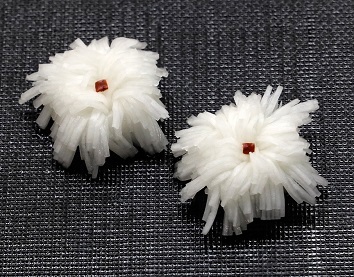 Fans out of radish (left -Tsuji Culinary Institute, made to look like closed (center) and slightly opened real fans (right). 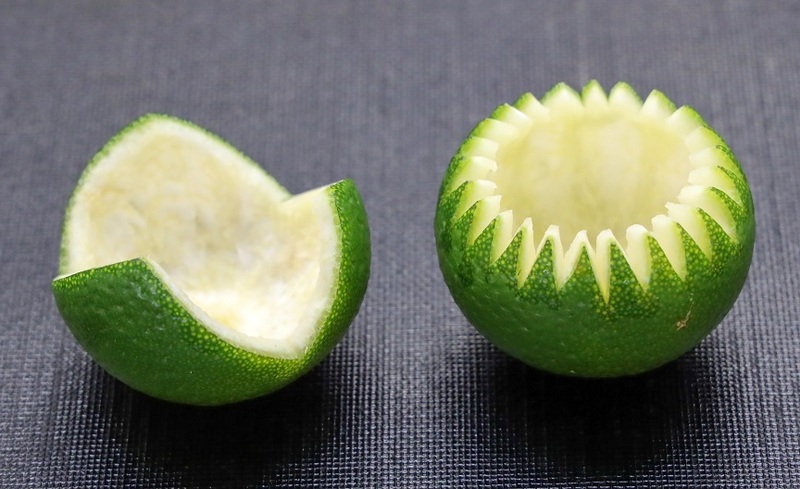 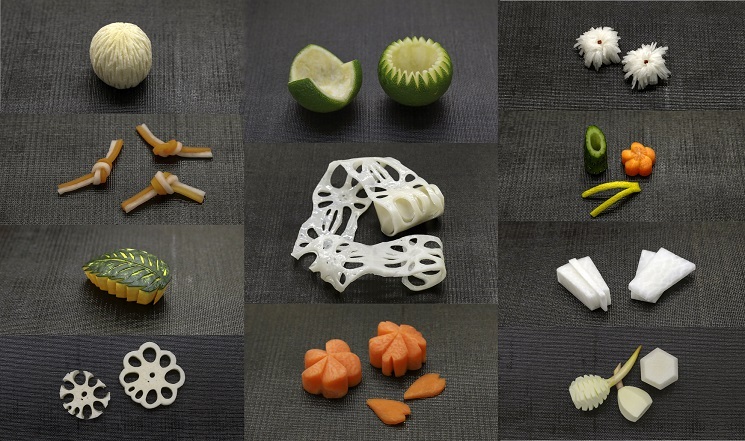 It’s easy to be mesmerized by the visual appeal of kazarigiri, but it is actually also a technique for flavoring ingredients. 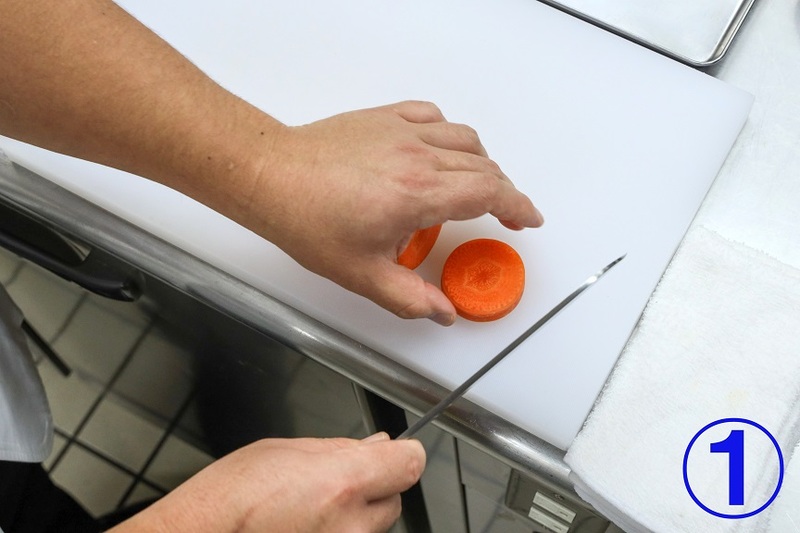 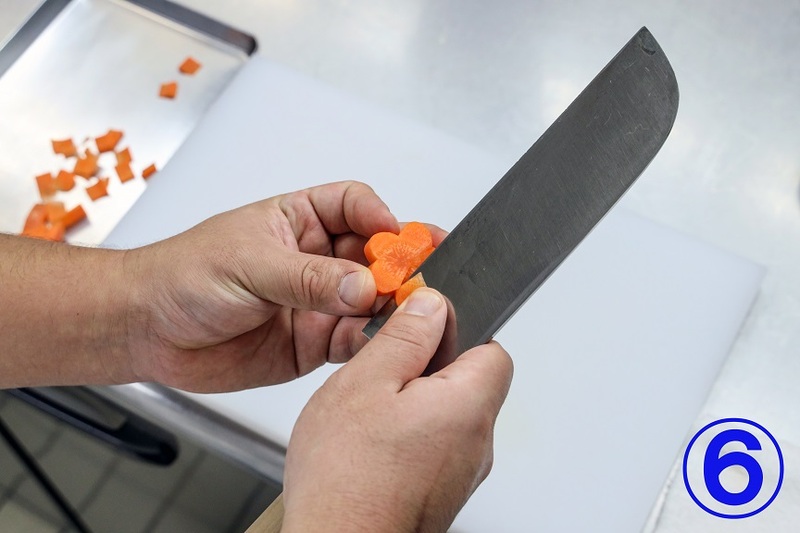 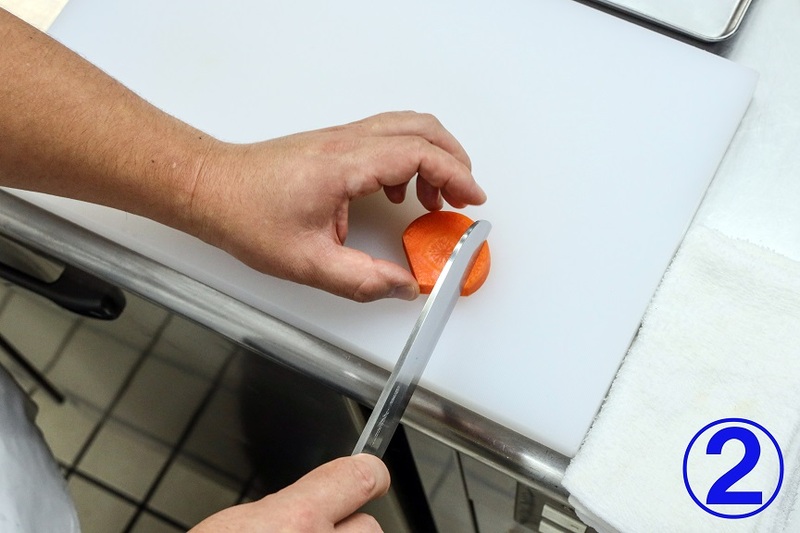 By thinly slicing or carving such ingredients rather than cutting them roughly flavors can more readily absorbed by them. 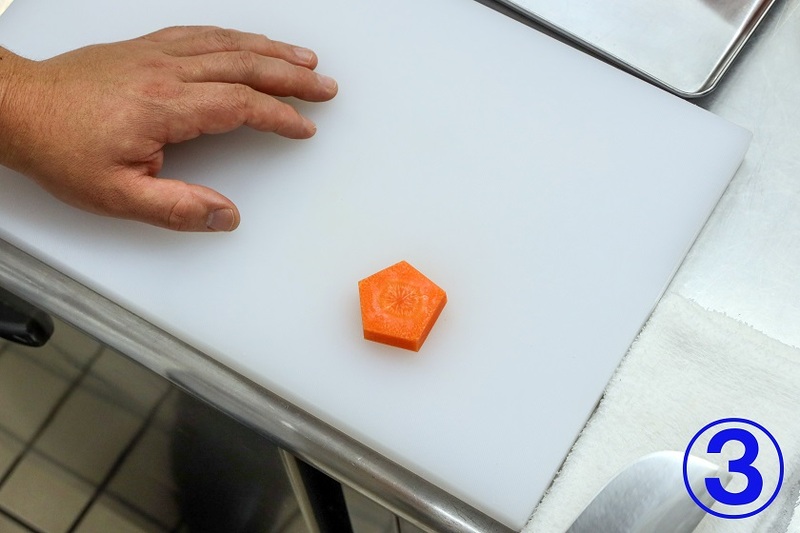 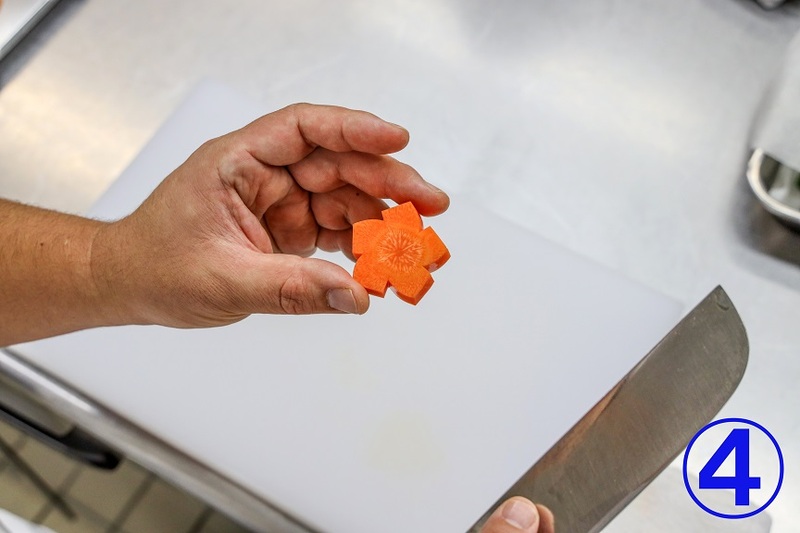 Larger chunks absorb flavors less the lighter and finer these flavors are, which represents another way in which kazarigiri is connected to Japanese cuisine. 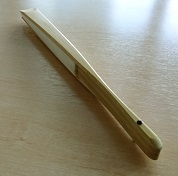 Kazarigiri looks difficult, but some simple techniques can be used at home, too. 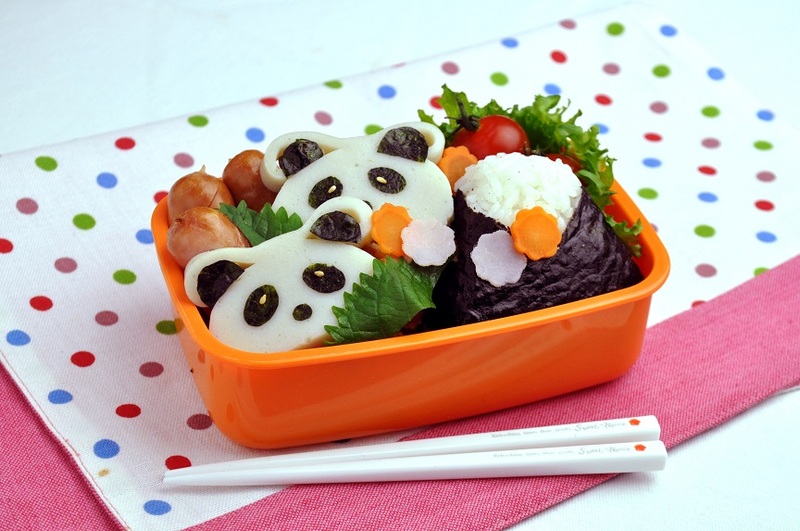 Created with just a little extra effort, such decorations will surely brighten a child’s day when opening his or her bento box. 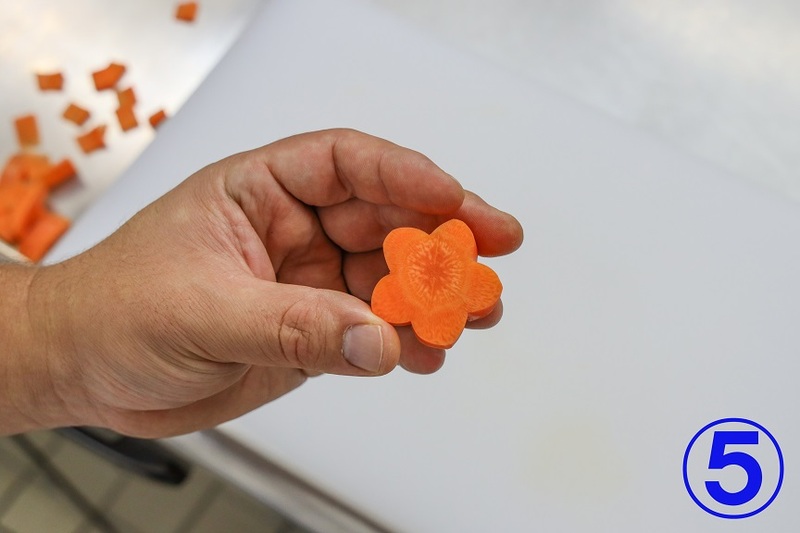 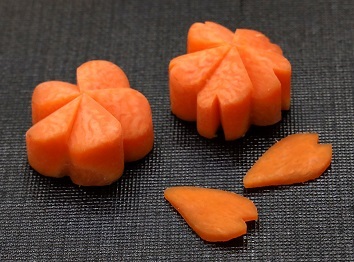 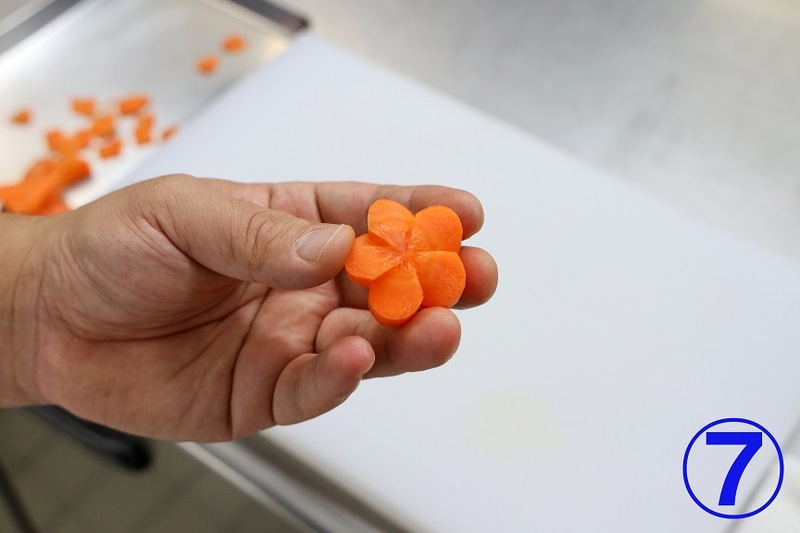 Carrot kazarigiri, which can be freely varied, for example by increasing the number of flower petals. 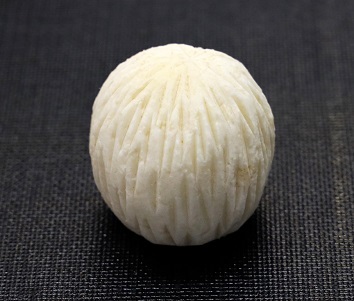 Based on the custom to entertain the eater, washoku has long used kazarigiri to create ornaments reflecting seasons and celebrations both in taste and look. After appreciating the arrangement’s beauty, you should enjoy Japanese cuisine from the perspective of the intent and meaning behind the kazarigiri decorations and the affinity between them and the flavors as well.